Sure, you can text your contact info or just enter your info into someone else’s phone. But handing over a real, physical business card says a great deal about YOU and how serious, interested, creative, etc. you are. A business card is worth remembering. Design one business card first – the dimensions are 2 inches tall and 3.5 inches wide for landscape. For portrait it’s 3.5 inches tall and 2 inches wide. Make the resolution 150. -interesting fonts and/or graphics that are school appropriate and represent you well. After you have built one card and placed in on your portfolio we will gladly print 20 cards for you. If you want printed cards, you have to follow these steps. Click on the thumbnail below and download the FULL SIZE JPEG. Then open it up in Photoshop and make it a separate layer from your business card designs. 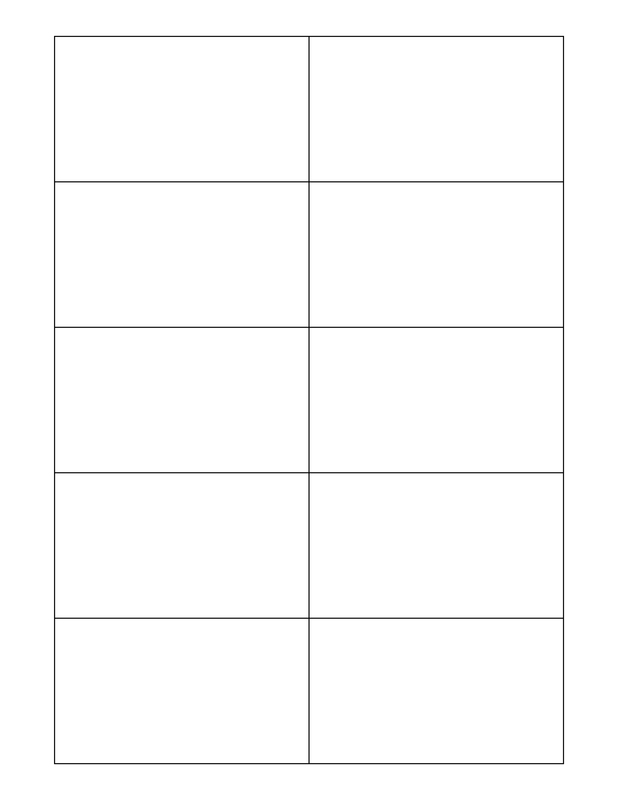 Fill each rectangle (copy and paste) with your business card. Before your print turn OFF the layer that shows the gridlines so that you print is clean. Run a test print on normal paper before we go with a print on the business card paper.